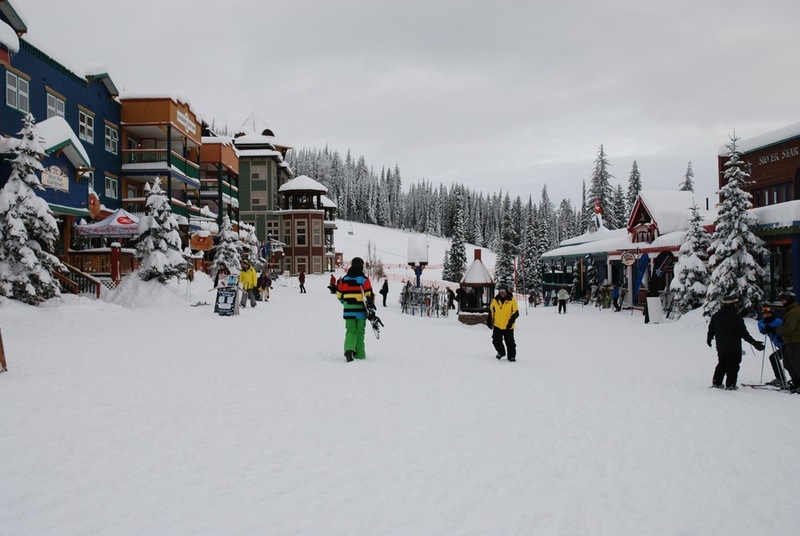 The first visit to Silver Star's village is very likely to bring a large smile to your face. Modelled on a idea of what a 1900's mining village might have looked like, every building is a distinctive color. One of Silver Star's best selling points is it's intimate, friendly and welcoming village that sits in the middle of the Vance Creek ski area. Ski down to the village directly from Knight Star Lodge, or make a stop during your day's skiing adventure to find food, refreshments, ski school or a variety of shops. Or perhaps walk down later in the day to enjoy an evening in one of the bars or restaurants. The location of the village makes it a snap to quickly get to a ski lesson in time or enjoy a quick couple of runs before meeting friends for coffee and some of the exceptional pastries that the Bugaboos bakery has freshly produced that day. In addition to the villages bars, restaurants and shops, there are all number of ways your family can enjoy themselves; Sleigh Rides, Snowmobile Adventures, Tube Town, Skating on Brewers Pond, Ten Pin Bowling, Indoor Climbing to name but a few. Silver Star's ski school is renowned across Canada and offers a wide variety of lessons fro groups or individuals in both Alpine and Nordic disciplines. The Snowsports Adventure Centre provides daycare for children aged 18 months to 5 years and skiing and snowboarding programs for children up to 12 years old.